Canada will seek access into a region of Myanmar where thousands of Rohingya-Muslims have been forced out, Foreign Affairs Minister Chrystia Freeland said Saturday, acknowledging publicly for the first time that the violence against the ethnic minority appears to be ethnic cleansing. Canada will seek access into a region of Myanmar where thousands of Rohingyas have been forced out, Foreign Affairs Minister Chrystia Freeland said Saturday, as she acknowledged for the first time publicly that the violence against the minority Muslim population appears to be ethnic cleansing. 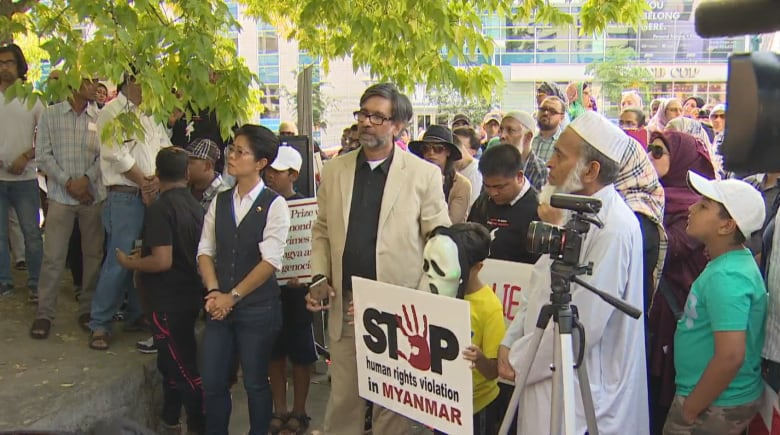 "Based on the reports, this looks a lot like ethnic cleansing and that is not acceptable," Freeland said at a rally in Toronto Saturday organized by the the Burma Task Force. "It is not acceptable to Canadians and I am very proud that Canadians are raising their voices here in Canada." The rally was one of two held Saturday attended by hundreds that called for an end to the violence that has forced nearly 400,000 Rohingya to flee since late August when Myanmar security forces began a series of what they have dubbed 'clearance operations' after Rohingya militants attacked police posts. Another rally was held on the steps of Ontario's legislature at Queen's Park. A similar rally was held in Montreal and another was planned for Sunday afternoon outside Parliament Hill in Ottawa. On Saturday, Freeland announced Canada's ambassador to Myanmar will seek entry into the once-Muslim-majority state of Rakhine, which independent monitors have so far not been allowed to enter. Human Rights Watch, which earlier this month released satellite images showing roughly 700 burnt-out houses in a single Rohingya village, has urged the Myanmar government to allow independent monitors into the country, so far to no avail. Meanwhile, thousands of Rohingya have been forced across the border into Bangladesh. 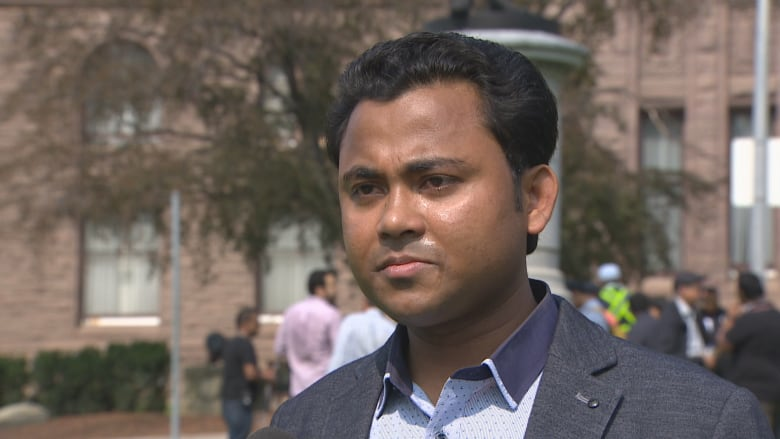 Farid Ullah, who was among those at the Queen's Park rally, fled to Bangladesh as an infant with his family and says most of his life — approximately 14 years — was spent in a refugee camp there. He says he was among the first Rohingya refugees sponsored by the Canadian government to arrive here. But amid the comfort and safety of Canada, he says he and his family are guilt-ridden at the reports of the horrors back home. "For the last two weeks ... even if I manage to get everyone to sit down together at the dinner table, my young brothers and sisters, before they put the first mouth of food, they say, 'I'm eating here nicely with the family, there's thousands of my young brothers in Bangladesh and back home, they have nothing to eat.'" It's a feeling Ullah says haunts him. That in part is why he says he wants to see Canada bring in Rohingya refugees as it did in 2015 with Syrian ones, and help create a safe zone along the Myanmar-Bangladesh border so that those fleeing, like his own family, aren't killed in the process. "Creating that safe zone is our biggest priority right now because we already have lost thousands," Ullah said. Activist Huwaida Pervez Khan agrees: "We need to take a step forward, we can't just keep talking and condemning, we actually need to make a change." Freeland says Canada will be raising the issue next week at the United Nations General Assembly — a meeting Myanmar's de facto leader and Nobel Peace Prize holder Aung San Suu Kyi announced earlier this week she will not attend. The foreign affair's minister's comments bring Canada into alignment with the stance taken by the UN's own human rights chief Zeid Ra'ad al-Hussein who, on Monday, told the UN Human Rights Council in Geneva the situation "seems to be a textbook example of ethnic cleansing." They also follow a direct conversation by Prime Minister Trudeau with Suu Kyi earlier this week emphasizing the importance of her role "as a moral and political leader," and the need to "take a strong stand in ending the violence." 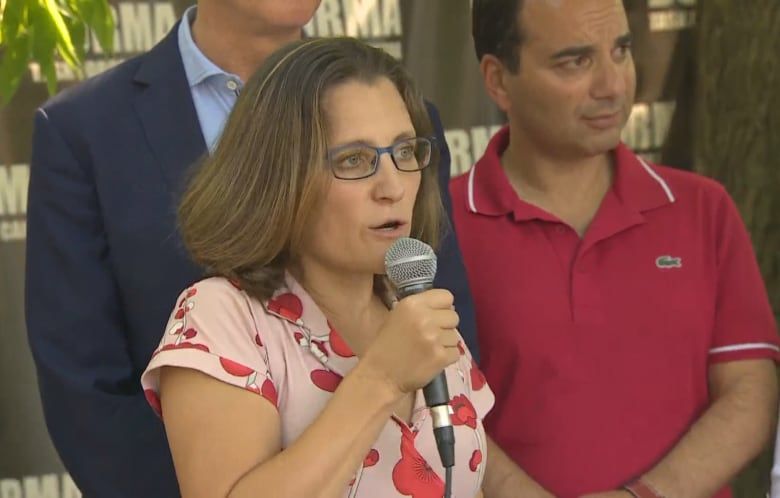 At Saturday's rally, Minister of Parliament Rob Oliphant echoed Freeland's statement, saying "beyond being a Muslim issue, this issue is a Canadian issue." Oliphant also defended the Liberal government's pace on addressing the violence, saying while the action has seemed slow to some, "it will be persistent." But at least two Toronto city councillors went further. Coun. 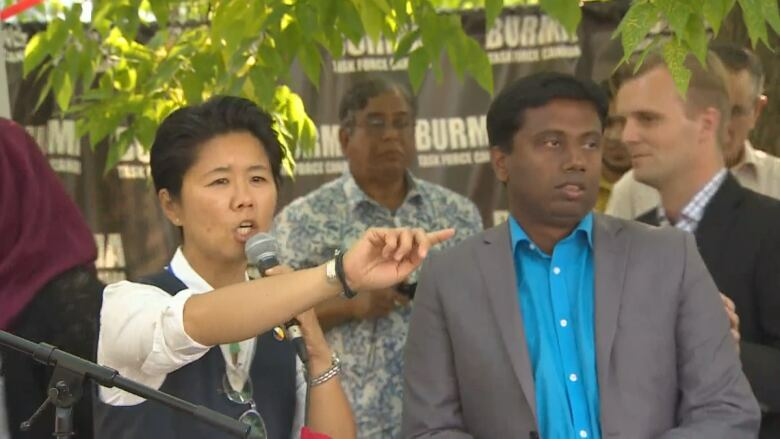 Kristyn Wong-Tam, who was also present at the rally at Matt Cohen Park, called the issue "personal." "As a Buddhist, I can tell you I am so alarmed, so alarmed that the Burmese governments dare use religion as a reason to persecute another religious minority," she said. "I cannot imagine someone who calls themselves a Buddhist, a Buddhist majority country, saying that that represents the value of our philosophy, our belief or our religion." "What is happening in the Rakhine state to the Rohingya people is no form of Buddhism I know." The issue was also personal for Coun. Neethan Shan, who recounted his own experience fleeing from a country not far from Myanmar. "I escaped a genocide myself in Sri Lanka as a Tamil... I remember the politicians who came and said one thing at rallies but did nothing when they had to do something," he said. "I went back this year and as I touched the soil where tens of thousands of people died within days, I remembered the silence of the Canadian government," Shan said. "As a politician I say this, it is for us to make the politicians to act." 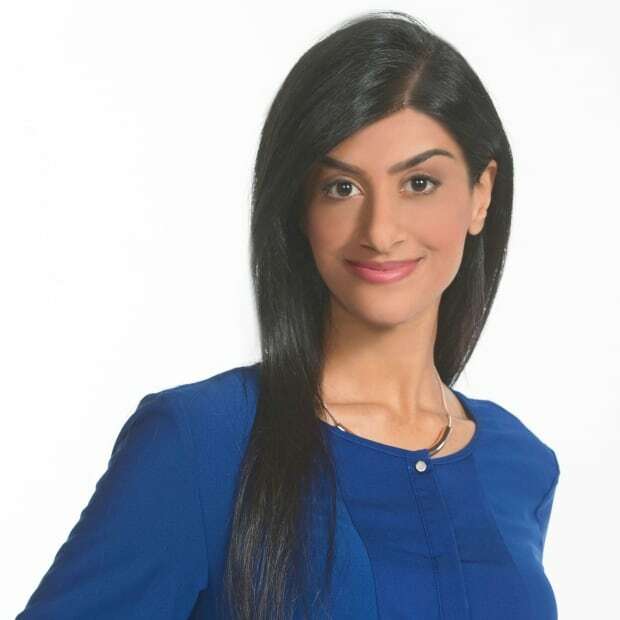 Asked this week if Canada would consider a possible peace-keeping mission in the region or help establishing a safe-zone on the country's border with Bangladesh, Global Affairs spokesperson Natasha Nystrom said the government remained "deeply concerned." "Appreciating their shared responsibility to lead the fledgling democracy of Myanmar, Canada firmly reminds State Counsellor Aung San Suu Kyi and the military leadership of their duty to work together and act responsibly in the face of the current humanitarian crisis. "To deny their rightful place in Myanmar only weakens the democratic vision Aung San Suu Kyi has fought so hard for throughout her life."